I hope you had a great Thanksgiving! If you have been following my instagram, you probably saw a few sneak peeks of our trip to Tulum, Mexico! Luis and I fell in love with this little Bohemian and rustic town. We wanted to go to somewhere small to unplug from all of the craziness and wanted something close to NY and warm. Tulum was the perfect destination! 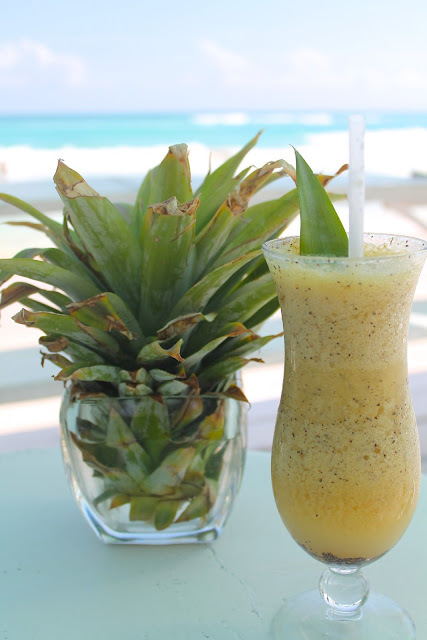 Here I present you with my favorite drink at Coral Hotel, La Dona. I also lived in these Soludos espadrilles. Tulum is located 2 hours south of Cancun. You can only get to Tulum by car. We reserved a private shuttle here for $175/round trip. The same driver picked us up from the Cancun airport and took us to our hotel and back. We fell asleep going both ways. I recommend reserving everything before your flight so you don't have to worry about anything when you land. $1= ~20.6 Mexican Pesos. I recommend that you go to a currency exchange house to exchange your dollars for Mexican Pesos. If you prefer to exchange the currency when you land, wait until you find a local large branch bank in Mexico. Just keep in mind that it will add an additional taxi ride or stop to your vacation, and stress. Please don't exchange your currency at the random ATMs on the streets of Tulum. The fees are high and some don't work. You will want to stay on the strip of Quintana Roo 15. The best and chicest hotels, beaches, restaurants, and bars are here. We stayed at Coral Tulum Boutique Hotel. Breakfast was included every morning from 7am-11am, all 20 rooms have their own private lounge heated pool, the rooms had AC and were very clean and modern. Not all hotels in Tulum have AC and so this was a deal breaker for us this time around. We rented bikes from our hotel that cost $20 dollars/bike for 24 hours. When we didn't need the bikes for 24 hours we rented bikes from the hotel next door, Amansala Resort, for $10/bike. In order to rent from Amansala, you will need your ID. Keep in mind that most of the time it made more sense to just hop in a taxi for 80-100 pesos one way. 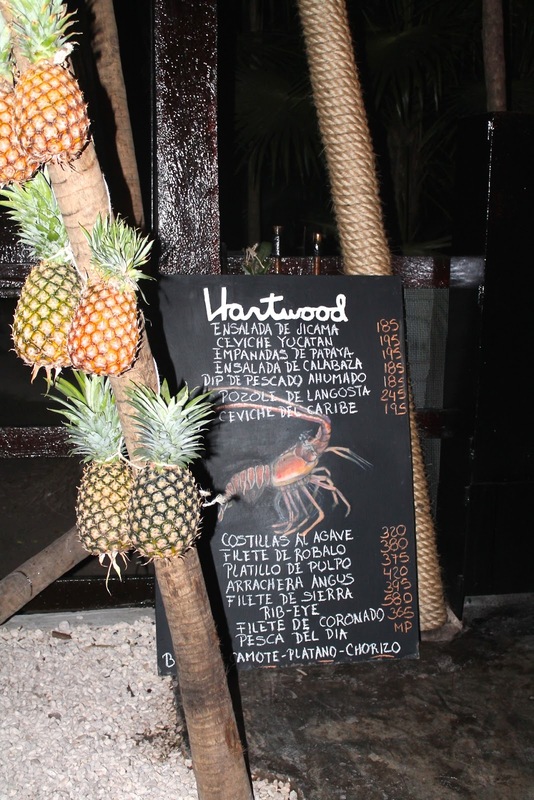 There were so many beautiful and delicious spots in Tulum! Our favorites were, El Tabano for lunch and drinks at any time. 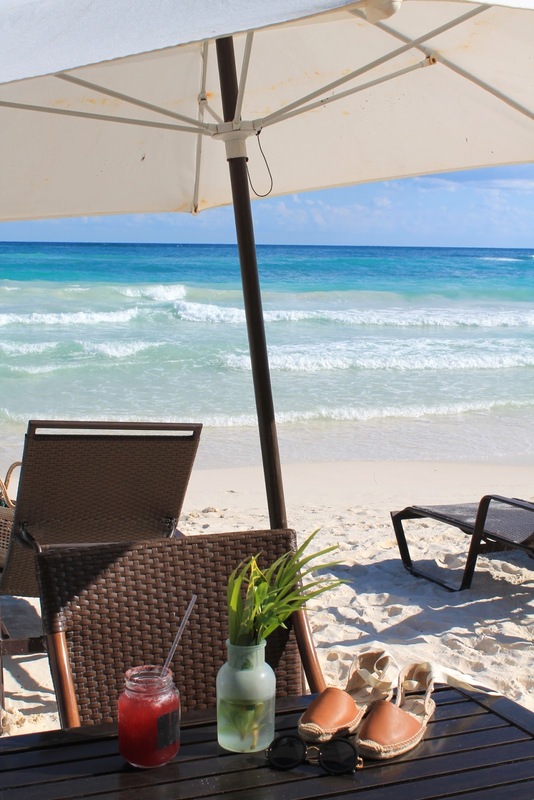 Coco Tulum's beach bar for a stunning view, amazing drinks, appetizers, and swings at the bar. La Patrona, right next to El Tabano for a quick lunch and drinks at any time. Hartwood was the priciest dinner we splurged on but it was a special Thanksgiving dinner and it was SO worth it! I am so glad that I made our dinner reservations ahead of time because the wait was 1-2 hours that night. Order the Ceviche and the Rib-eye steak! It was the best wood-fired restaurant. Cenzontle for a romantic low-key dinner and drinks. Lastly, pay a visit to Mur Mur and Raw Love for coffee drinks. You must see the Tulum Ruins! We biked to them and it only took about 20 minutes. We got there right before noon and the entrance fee was 65 Mexican Pesos per person. The structures are stunning black and white stone temples. The most stunning structure is the Castillo on top of a hill and by the turquoise sea. We saw everything in less than an hour and when we headed back to the hotel at around 1pm the line at the entrance was very long. Make sure you go before noon. 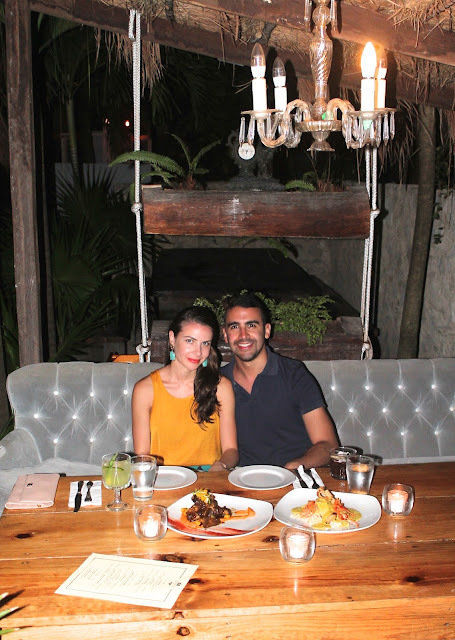 We enjoyed Tulum so much because we got to experience everything in one place. You will find great restaurants, bars, hotels, and beaches in this small bohemian beach town surrounded by a chic jungle! What more could you ask for?! We already can't wait to go back!